We’ve covered the basics of searching for resources and evaluating them. Now comes the important step of managing what we’ve found in a way that makes it easy for us to organize the resources for ourselves and perhaps share them with others. There are several Web-based services that help us do just that. We will cover a few of these reference management tools in this chapter. If we are writing an academic paper or even an article for public consumption, it is also important to cite these resources properly. That way, others who read your work may check the resources you’ve used. Sources can be checked for accuracy, to see excerpts or ideas in the original context, or to obtain more information on the topic. You’ll also want to cite Internet resources to let people know where they can find this information you’ve used, whether you’re preparing a formal research paper or writing email to a friend. Properly acknowledging your sources gives credit to others whose ideas or expressions you have used in your writing. It is very easy to copy and paste information from the Web, but if you copy material from a source without using quotation marks and present the information as your own work, you are committing an unethical act—plagiarism—and it may have grave consequences. You should also be careful when paraphrasing an author’s work—use your own words, don’t just rearrange the author’s words to make it appear as if it were your own writing. 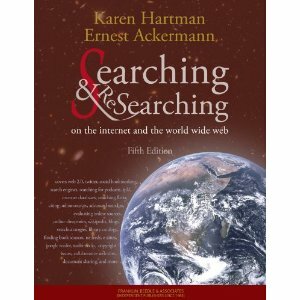 This chapter outlined several ways for you to manage your research using social bookmarking services. These services make it easy for you to organize Web resources for yourself and perhaps share them with others. Citing references or writing a bibliography is usually part of creating a research report. You provide citations so others may check or examine the resources used in the report. There are several style guides provided by organizations for citing both print and electronic resources. This chapter presents guidelines and tips, with examples from some of these style guides, for documenting or citing information obtained from the Web or the Internet. Citations for documents and other information found on the Web or the Internet usually include the URL (Uniform Resource Locator). A URL includes the names of the Web server and the file or directory holding the information. The URL therefore tells you which Internet protocol to use to retrieve the information and where the information is located. You need to be precise when writing a URL, as a computer will be interpreting it. We listed URL formats for common Web or Internet services. Style guidelines usually suggest that a citation include the author’s name, the work’s title, the date the information was last revised, the date the information was accessed, and the URL. The date of access is included because it’s relatively easy to modify information on the Web and the information may not always be the same as when it was accessed for research. We discussed methods for determining the date of access and the title of a Web document. The chapter concluded with a list of Web resources that provide more information about citing sources and some suggestions for specific formats.